Port-au-Prince (AFP) - The Haitian government urged the United Nations Security Council against cutting its troop presence ahead of crucial elections. Haitian Justice Minister Pierre-Richard Casimir made the request to visiting UN envoys from the council's member countries as they visited the deeply impoverished country's only police academy. "I urge the Security Council to not reduce the number of MINUSTAH (peacekeeping mission) troops during the electoral process," Casimir said. "On the contrary, their presence is needed to reinforce the UN mission's contingents during preparations to hold elections." Haitians have been waiting for new elections for three years. The president has been ruling by decree since the legislature was dissolved earlier this month, making him the sole leader of a country on edge, with sometimes violent opposition protests. "In Haiti, like elsewhere, the electoral period is sometimes marked by tension and discord," said Casimir, stressing that the Haitian government was taking all necessary measures to ensure the elections go smoothly. 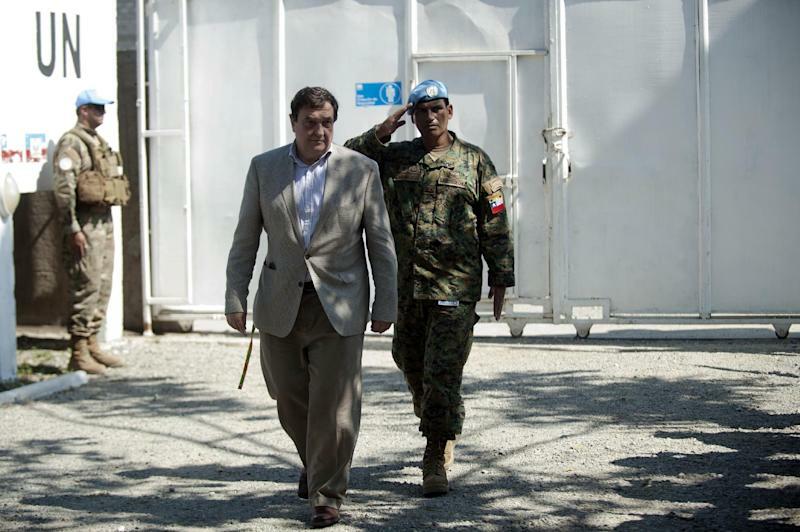 Casimir, who was recently named justice and public safety minister, pointed to UN Security Council Resolution 2180, which calls for the UN to adapt its troop presence to the situation on the ground. "In the name of the president, the head of government and myself, I reiterate to the United Nations Security Council our request that it maintain its troop levels," the minister said. Asked about the Haitian request, Chile's envoy Christian Barros Melet, who holds the rotating presidency of the council, said it was too early for the international peace and security body to make a decision. US envoy Samantha Power noted that Haitian national police had improved and increased its ranks. 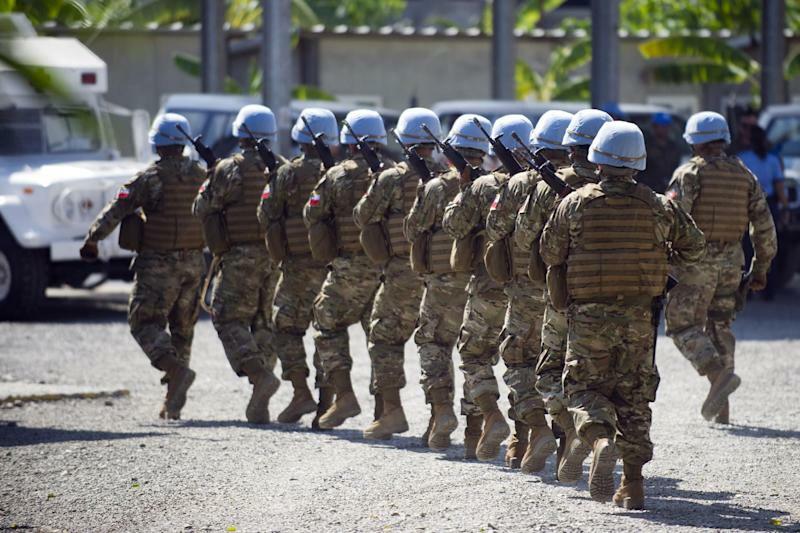 In October, the council renewed MINUSTAH's mandate for a year, but halved its force to 2,370 soldiers due to improved security conditions. The police force was maintained at 2,600 officers. The UN ambassadors ended their three-day visit Sunday in the Caribbean country wracked by a serious political crisis. Before boarding their plane, Power and Barros Melet left flowers on a memorial for victims of a January 2010 earthquake that reduced much of the capital to rubble. Power and Barros Melet reiterated their call for elections to be held as soon as possible.